There are only so many hours in the day, right? Twenty Four Little Hours, as the song goes. And if you read every article on Blogging and social media and tried to put into practise every bit of advice on how to grow your blog...? Well, you'd be chained to the computer night and day trying to keep up with all those social media platforms. Tweeting and Facebooking, Flickring, Pinning, Digging and Stumbling Upon. You'd be Linked In and connected into BlogFrog communities, hashtagging on Instagram, not to mention trying to keep commenting on blogs, linking up with linkies, replying to comments and emails day in, day out. There'd be no time left for actual real life (and you'd quickly run out of things to write about). 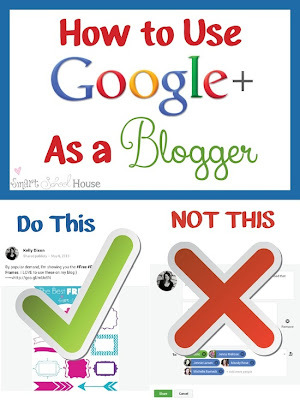 So what's a blogger to do? How on earth do you keep up with all these social media thingammies? Or at least that's my experience. It's not possible, unless you are basically blogging fulltime. But if we want to put our blogs out there, if we want to connect with others and share what we have to say with as wide an audience as possible, social media is important. Or at least, USEFUL. The thing is to put it all in perspective and figure out which platforms suit us best, and then focus our time and energy there. Then find ways to automate things so we can make use of other platforms, even if they're not really "us". 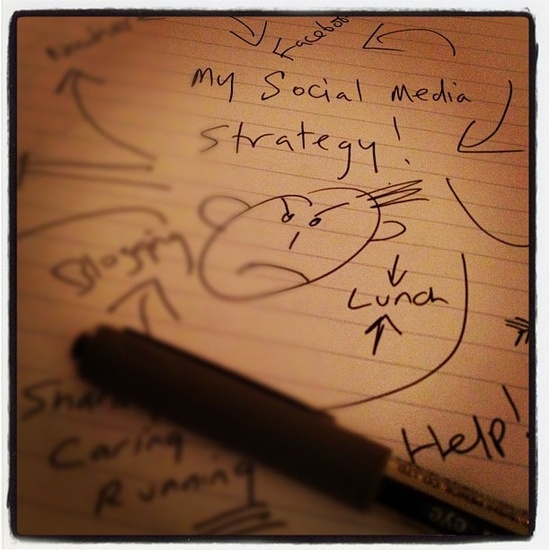 Social Media is a tool, not a taskmaster. We are in the driving seat, not the other way around. I decided it might be helpful if I share my thought process with you, and what works for me. It might help clear away a few cobwebs for somebody. There are some Social Media platforms that I absolutely love. They are useful to me in my everyday life, they make my real life easier or more enjoyable. 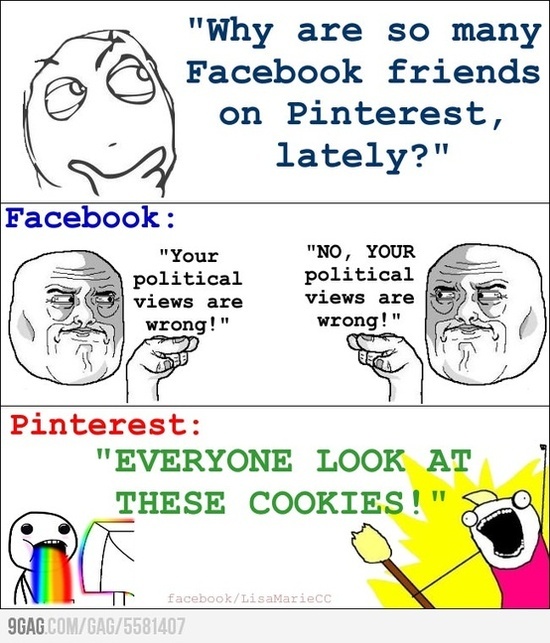 Pinterest - now there's a platform I love. I can create boards for each party I'm planning. I can pin all my own party stuff and tutorials there for other people to find too. I don't have to be on it every day. Or even every week. But sometimes I sit down for a giant pin-fest. And Instagram. So pretty, so styley. Such a nice way to capture my own mini-stories and let friends know I came by, with two taps of the screen. 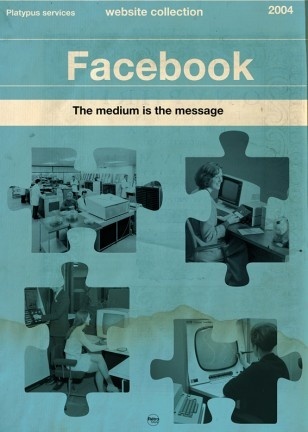 And let's not forget dear old Facebook, although this one I have mixed feelings about. Facebook is not what it once was. I have my personal (as-private-as-I-can get-it) profile, and a public page for my blog. All my blog posts get automagically posted to both my profile and my page, through the wonders of syndication (through Networked Blogs). I can hold conversations and chat in real time to my friends and blog pals. I can keep in touch with my friends relatives all round the world. So even though I am not best pleased with all the changes Facebook keeps making (and the fact that only 10% of those who have "liked" my page will get my posts in their feed, because Facebook changed the rules) I'll stick with FB... for now. 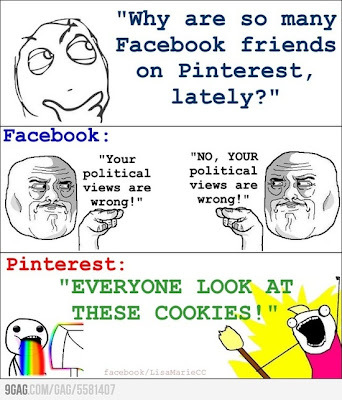 Those are the social media platforms I actually spend any time on. But there are others which are really not my thing. I've tried Twitter and I have to say, I just don't get it. It's not for me. Maybe it's because I was slow to get a SmartPhone and kind of missed the point. Maybe it's because I'm a visual person and like pretty pictures. Or maybe I just use far too many words..? Whatever, I am not much of a Twitterer at all. And don't get me started on Google+. I am still trying to figure out what Google's game is and what on earth the point is. But just because I don't really get it, doesn't mean I'm going to avoid it altogether. Why? Because even though it's not really "my thing" there are other people who are on Twitter all day long... and maybe there are even some people who actually hang out on Google+ too (though I'm yet to find them). The others, like Linked In, I'm still figuring out. One of these days I might actually visit some Writers Groups and ask for some professional endorsements for me as a Writer, a Blogger, a Blog Designer (feel free to head over there and "endorse" away). It might come in handy one day. So I won't ignore it completely. I'll just put it on the back burner for a day when time is not so scarce. So just because my preference is for Pinterest and Instagram doesn't mean I completely ignore Twitter, Google+ and the rest. What it means is that I will find a way to make sure people can find and follow me whatever their preferred platform. I can syndicate my posts to Twitter so die-hard Twits can see when something new pops up on my blog. I can click the "+1" button when I publish a new post, so those brave souls who are lurking around on the G+ frontier can see what's new around here too. To sum up, here's my advice. If you want to grow your blog and connect with an audience, don't ignore social media, but don't let it take over your life and keep you running in circles either. How about You? What's YOUR take on Social Media?? ?